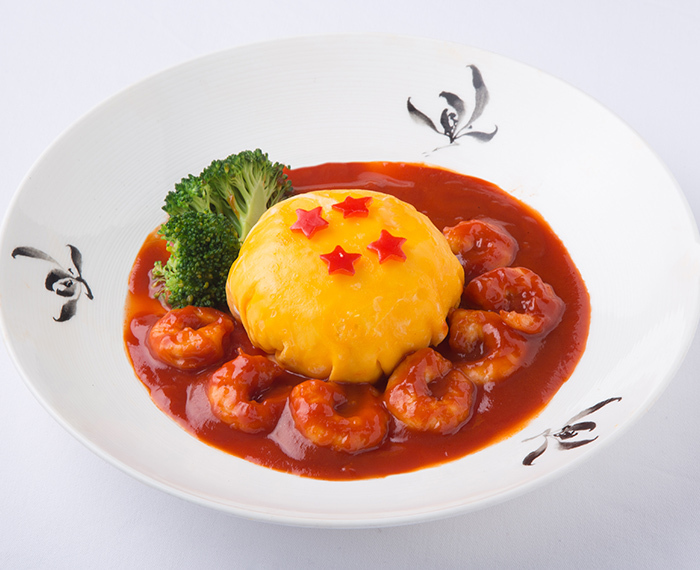 The Popular Dragon Ball series is back in a yummy and also fashionable form. 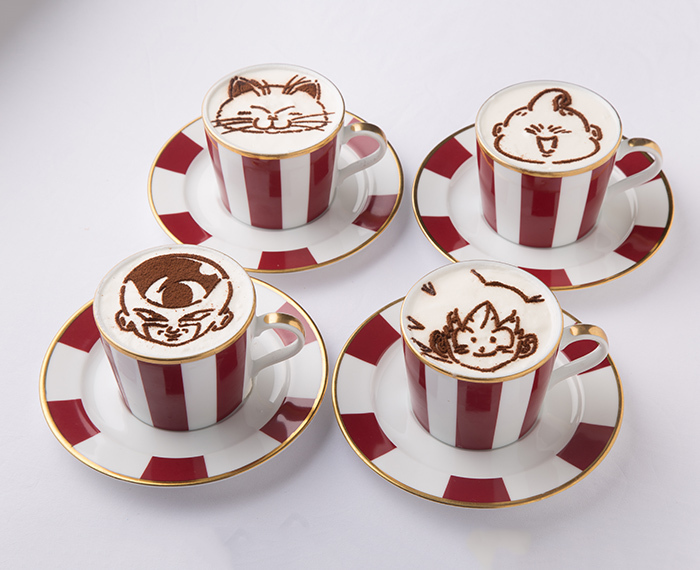 seeing the pop up cafe image , oh them 90s nostalgia feels~, sure makes you hungry and the Dragon ball opening song is stuck in your head now "Tsukamou ze! DORAGONBŌRU,Sekai de Ittou SURIRU na Himitsu,Sagasou ze! DORAGONBŌRU,Sekai de Ittou Yukai na Kiseki'. 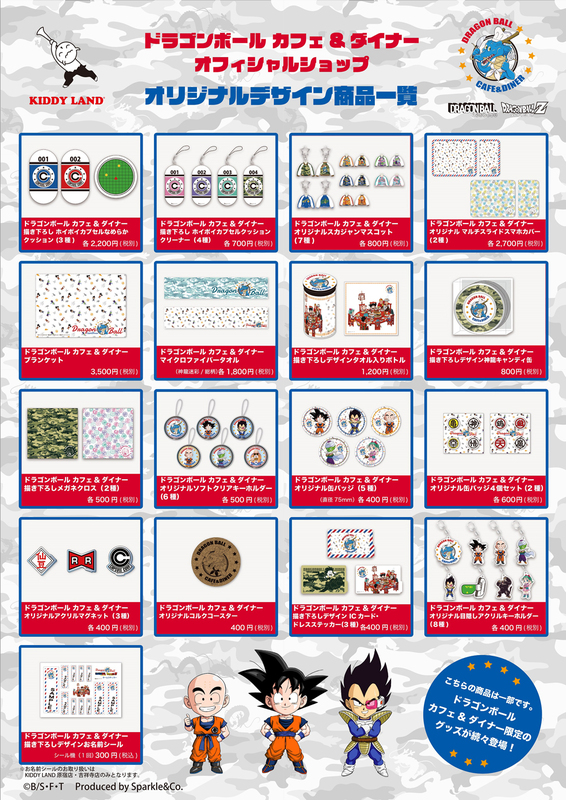 If you aren't hungry why not buy some cool clothing from the Dragon Ball collaboration line with Kiddyland. 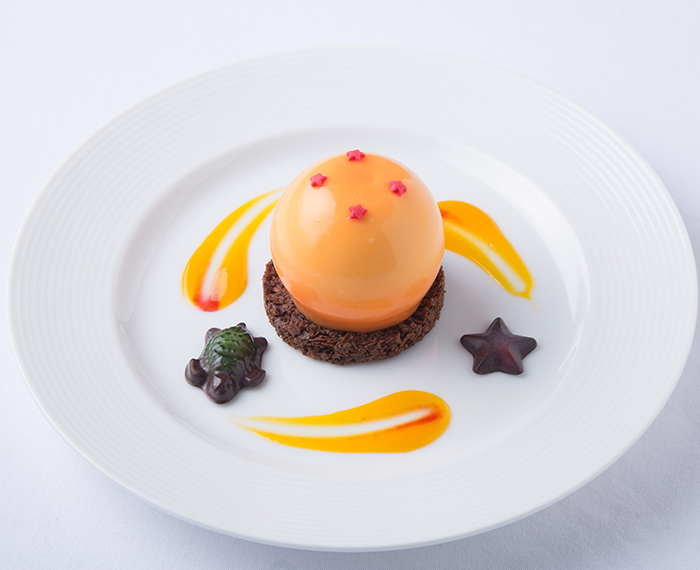 it looks pretty and delious . A pancake that taste as soft and fluffy as a cloud. 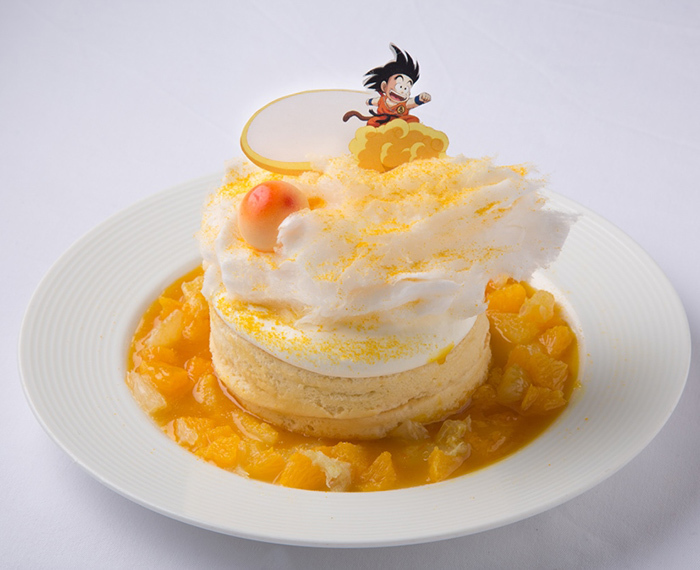 Goku riding a soft cotton candy cloud, served with citrus fruits sauce, this dessert looks so soft and will melt in your mouth. 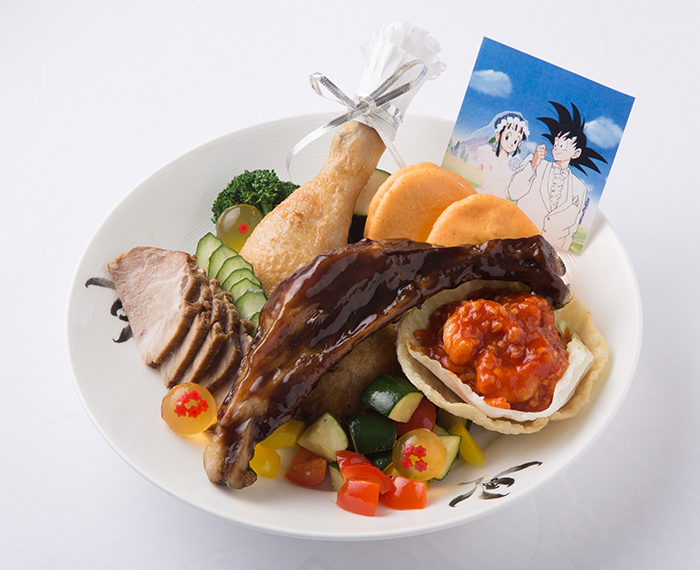 Chi Chi and Goku's Wedding Plate. Gives you a feeling of a real wedding dinner buffet. Inclues Black Vinegar Sauce Spareribs , Wine bottle styled Chicken Thigh , Homemade Barbarque Pork, vegetables and Chilli Sauce Shrimp. 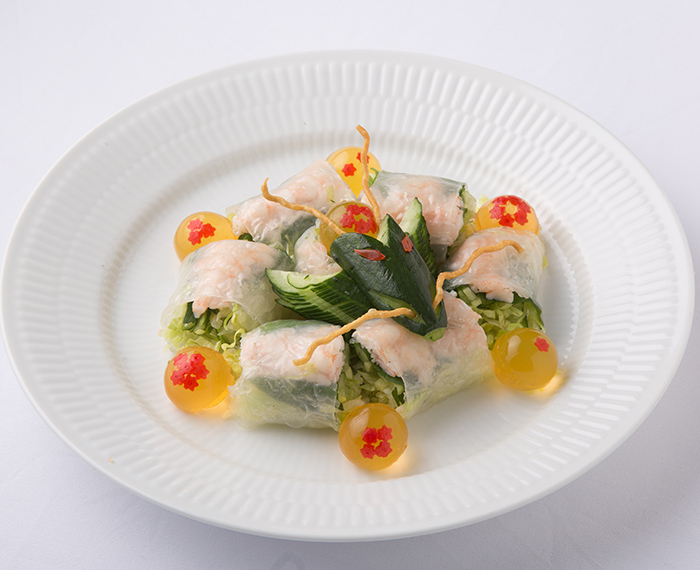 You can't call the real Shenron ,but how about eating a mini Spring Roll Shenron instead. 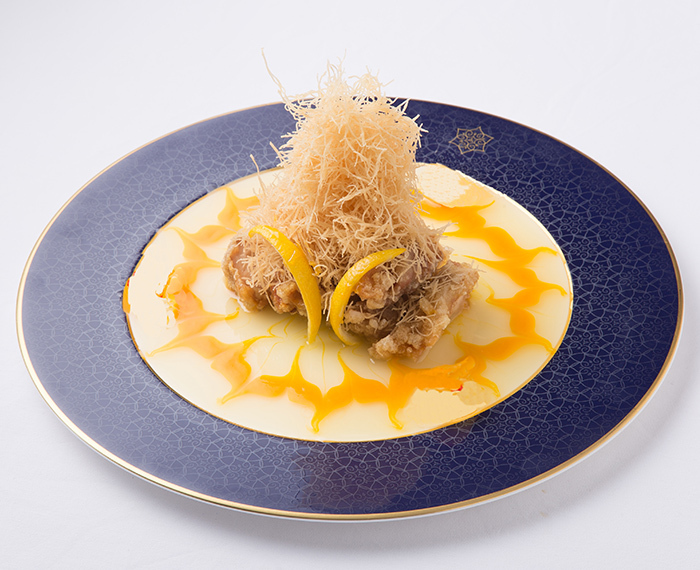 A refreshing dish, with fresh vegetables , shrimp , steamed chicken with Sweet Chilli sauce. Seal of the Demon Lord, BANG BANG Salad Jar. 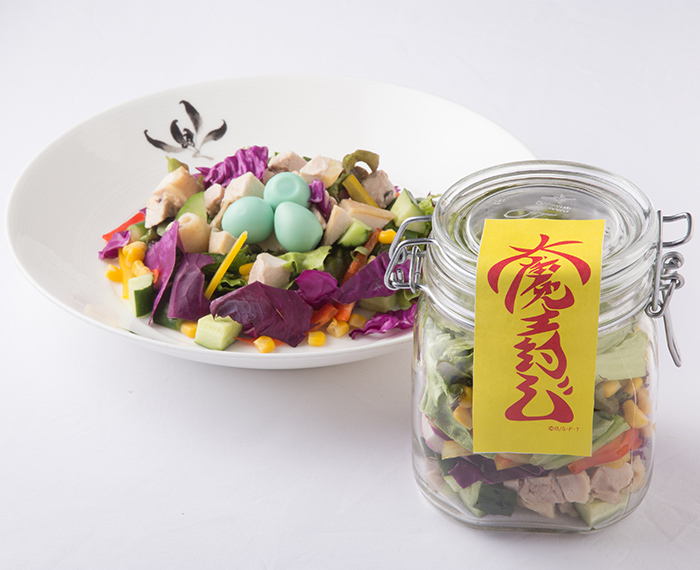 A popular Jar Salad with a chinese demon seal twist, chance to eat the Demon Lord thats sealed inside before he breaks out! 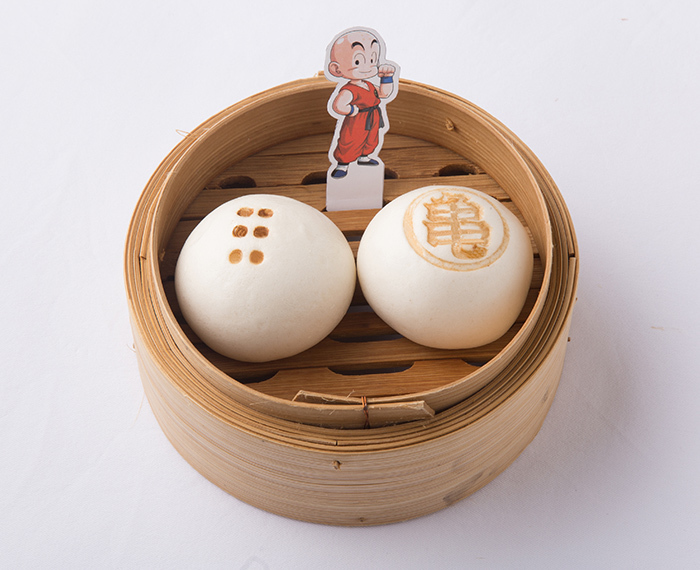 A dish to represent Goku's best friend Krillin, two steam chestnut buns with krillins ki and head dots. 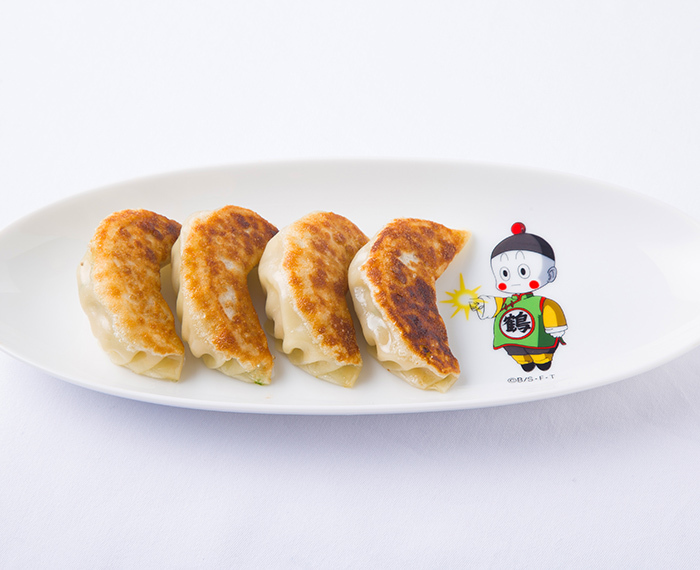 Homemade dumplings , made from wagyu pork and vegetables. 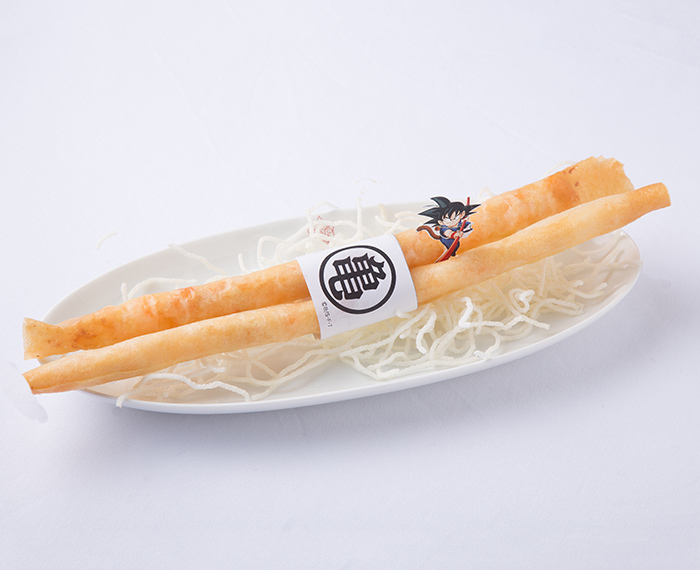 35cm long Handmade Fried Shrimp Springrolls. 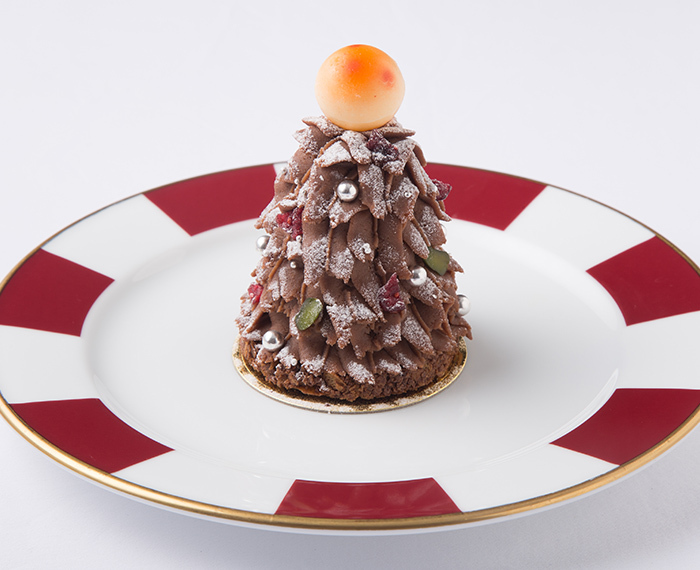 A Mont Blanc , prefect for this coming christmas, A fresh made chestnut paste, refreshing mint cream and vanilla brulee. A black sesame custard creampuff, with a Mr Popo macaroon ontop. 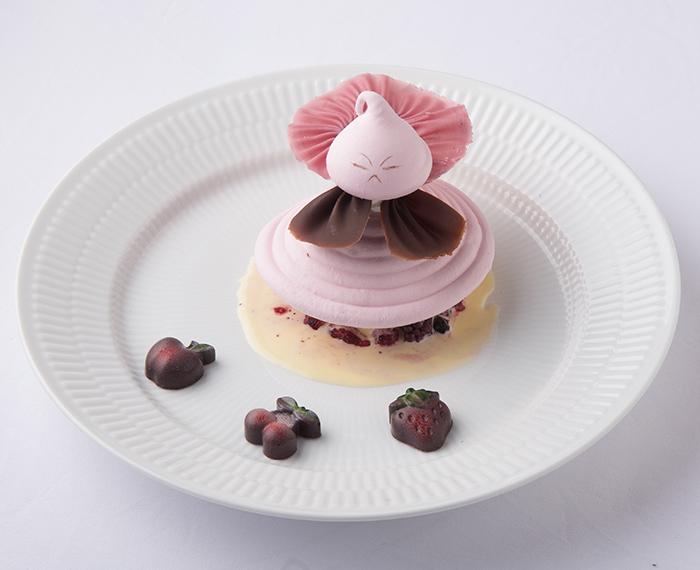 Mix berry and vanilla icecream with a marshmallow cream. 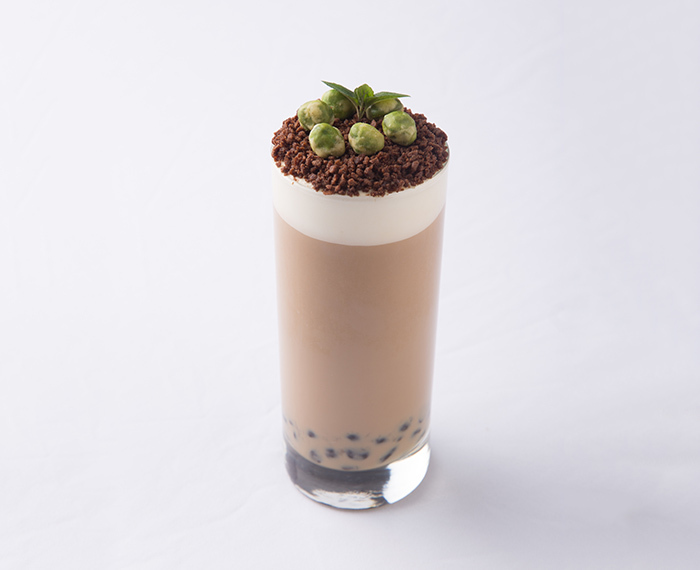 Green beans on top of chococate cookie. 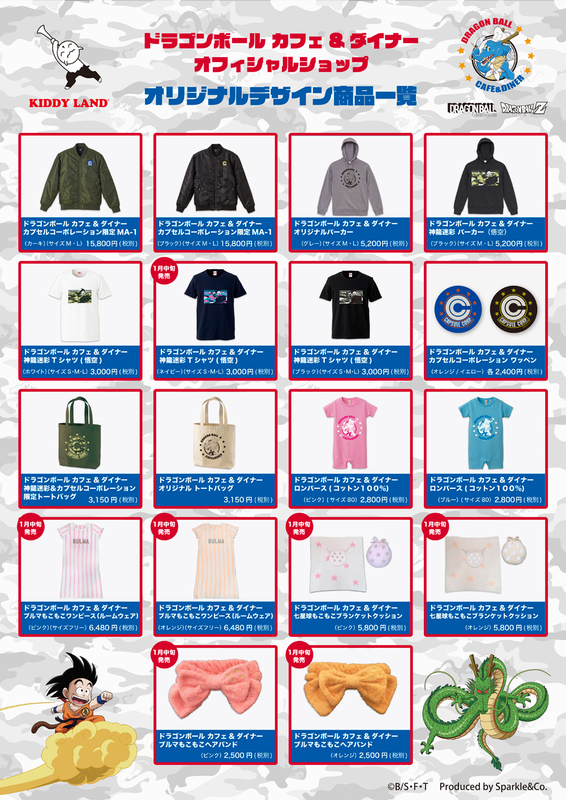 Don't forget to buy some cool new clothes to show your love for the dragon ball series and update your dragon ball collection with some cool new goodies as well. 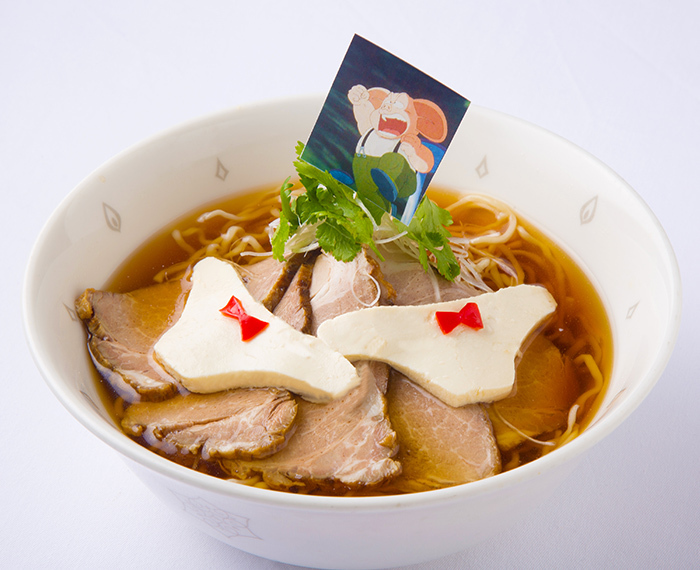 Tamagawa Diner is a western restaurant located at a 3 minute walk from Tamagawa station.